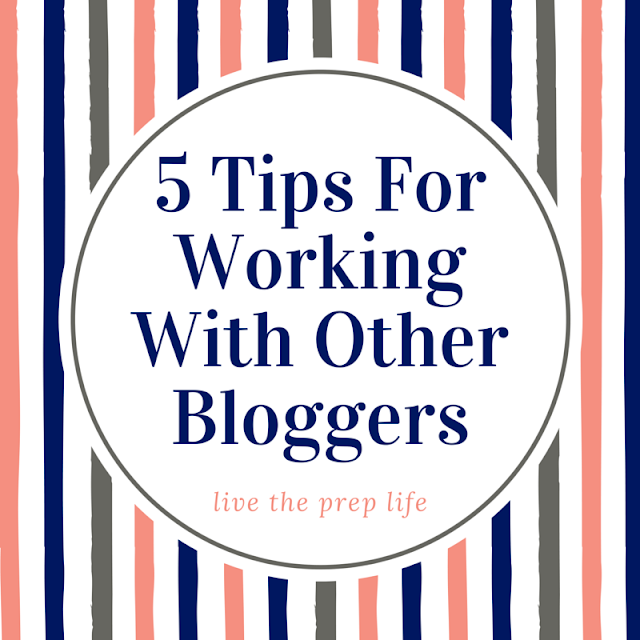 Collaborating with other bloggers can sometimes be very intimidating, but it's an awesome part of the blog world, and today, Ashlee from Sparkles by Ashlee has five big tips for you on how you can get the right opportunities to collaborate with other bloggers. 1. Make a list of the blogs that inspire you. Chances are there is that one blog that inspired you to start yours, or you have a blog that is your favorite. There are also quite a few blogs that are similar to yours. Make a list of these. Chances are, you're probably already following them! 2. Then you need to reach out and introduce yourself. Maybe get to know them a little better before you jump in with collaborating. Comment on their posts that resonated with you. Send them a note to tell them how much they've inspired you. Form a friendship! Even if you can't collaborate, you could still make a great friend. 3. Know what you want to collaborate on and do your homework in the sense that you know what types of posts this blogger writes, what posts their audience writes, and even what their audience is like. The come up with an idea to present to them. This is a mistake I made a lot. I used to email a blogger and only state the topic our post could be in (like "dreams," and while that tells you something, you don't really know what I have in mind). Instead, state what type of post it would be and your ideas for it. Don't wait for them to suggest ideas because they might not. If you email someone and tell them specifically what you want to collaborate on, then they might love your idea versus if you only told them a little bit. 4. Engage with their readers. If you write a post for a blogger, and one of their readers leaves a nice comment or question, respond and engage! This is how you meet NEW people and gain NEW readers that will support you, and you can support them! 5. Don't put too much pressure on yourself with collaborating. Don't worry about what people think. Some bloggers will say no. That's okay. Try not to take it personally - rejection is a part of life. It's probably for the better because that means they weren't the right blog for you, or you can try again with a different idea. Don't make collaborating feel like a chore or something you HAVE to do. It should be fun, and it should be about community, not just getting your name out there. How about you? 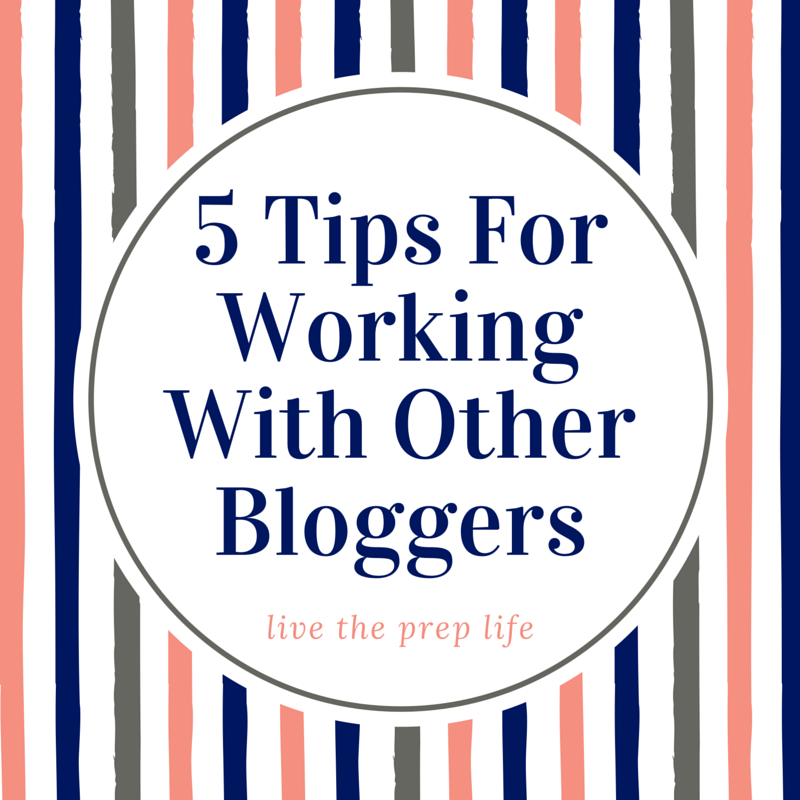 Do you collaborate with other bloggers? If so, how do you do it? Did these tips help? Ashlee Mae is a blogger at Sparkles By Ashlee where she shares her faith and big dreams in writing and helping others pursue their dreams. She is obsessed with the color pink and just wants to keep it real and look for the good in this life.